These were my frustrated thoughts five years ago after I was told I had Lupus and Fibromyalgia. This diagnoses came after many years of stress and poor eating habits. One source of that stress? A daughter with a severe hormone condition that resulted in her being on 12 doses of medication per day by age 18 years old. Over time, by following standard medical care, neither hers-nor my- condition improved. In fact, they got drastically worse. That led us to turn to alternative health and, while I learned more about working with our body, I was still overwhelmed with the large number of tests and supplements that were supposed to help us get better. I saw a counter full of supplements and a file folder full of testing and yet, we still weren’t seeing good progress. 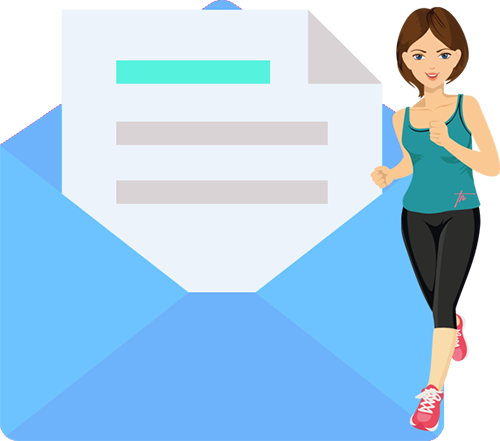 The problem was, we were so overwhelmed with trying to keep up with the protocol recommended, that we ended up reverting to old habits which led to reverting to old health issues. One day I decided, even though my background was in business, I was going to have to figure out what to do if we were not only going to improve—but to survive. I looked at the large number of prescriptions our doctors were prescribing. I looked at our medical bills for doctor/specialist appointments as well as trips to the emergency room. Fear no more. Instead, common sense for what our body needs, and research into our health conditions, became our health protocol. As I implemented the information I studied, I found the treatment for my daughter was pretty much the same that was helping me with my Fibromyalgia and Lupus. The basics of care for the human body had never once been discussed with us in our multitude of doctor appointments. Yet, the foundational basics of what makes the body operate well vs what damages it, is absolutely necessary if we are going to heal. What I realized is that healing didn’t require a medical degree. It didn’t require a deadly number of prescriptions, invasive testing or surgery that removes vital body parts. In fact, not having a medical background is likely what saved us. Because, by not having the intensive education doctors receive that emphasizes a need for medication, we were open to alternative, natural methods and working with our body to support it. Something our doctors did not suggest nor, unfortunately, believed could help us. Today, our lives-and our health-are completely different. I use zero medications and, if I have Fibromyalgia and Lupus, I surely would not know it by my energy levels and overall health. Years ago, our daughter was told “all had been done for her that could be done” in spite of her being on 12 medications and four failed surgeries. Today she is on zero synthetic medications and leads a better and healthier life than we ever believed possible. Where once there was no hope, there is life, vitality and living life to the fullest. Will everyone have the end result we did? While I cannot say that, I can say our experience, and all those I work with, have shown-repeatedly-that we most surely must be an active participant in our own health. There is a better, more simple, common sense approach to healing. The great news is each of us can help our body work toward better health. Most health issues stem from abusing our bodies—either knowingly or unknowingly. Helping our body doesn’t have to be complicated. In fact, the more simple approach lets the body do what it does best-work toward homeostasis. The human body has a huge forgiveness curve. But even it-in spite of its amazing capabilities- has its limits. When we support, nurture and remove the things that damage it, you’d be amazed how much the human body can repair damage that has caused much of our health issues. My family has been Blessed with huge health improvements through simplifying our health plan. Many of my clients have had great improvement once they made the decision to be the one who is in charge of their health. My mission (and prayer) is that each and every person I encounter can come away with at least one tip or thought to improve their own health-both physically and mentally. It can be done and has been done. The biggest question is: are you ready to commit? Are you ready to believe standard medical practices in our society today, for chronic conditions, are not working? Most importantly…are you ready to take control of your health plan? If so, I am here to help. 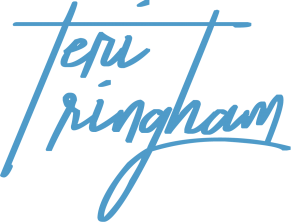 Teri Ringham was raised in North Dakota (Brrr! ), lived in central Minnesota for 30 years and currently winters in Naples, Florida while spending summers with her husband and family at their Minnesota lake cabin. She grew up in a family of ten (yes-ten) children, is Mother to three adult children and loves on two grandchildren . She has a B.A. degree in Business Administration but changed her focus to alternative health practices when her youngest child struggled with severe health issues leading to a plethora of medications, medical appointments and surgeries. After 15 years of watching her child's health spiral downward, she decided it was time to learn about the workings of the human body. The end result is a healthy child, off all synthetic medications and living a normal life. 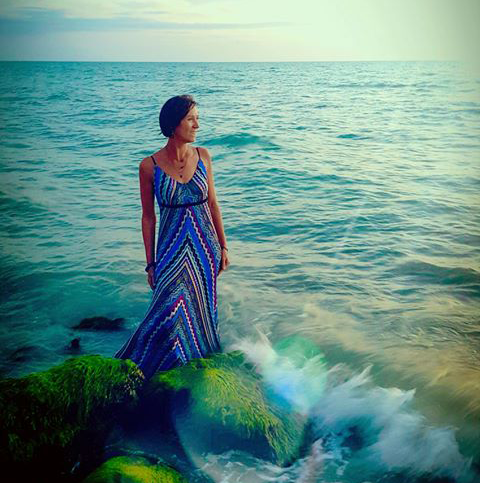 This experience, as well as overcoming Fibromyalgia and Lupus, led her to be a passionate advocate for each of us to become our own health “specialist”. Her intensive research into all aspects of alternative health led to her approach that focuses on root cause of the problem. Looking for what is disrupting our health helps us avoid the confusing “shotgun approach” of treating individual body parts rather than looking for the source of the disruption to our health. Her approach is eliminating the things that create a sick and struggling body while placing focus on soothing the distressed body "parts" in a few key areas. When we concentrate our efforts on bringing key areas to balance, such as our Master hormone and Gut, we ease the burden on other systems/glands and organs to rest, regenerate and heal --very possibly without major medications and supplementation. This approach has helped her family, friends and complete strangers that are desperate for change. 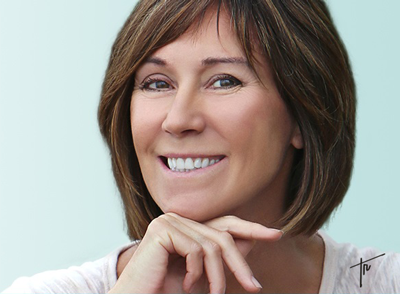 Teri’s background includes certification in Reiki, Certification from the Institute of Nutritional Leadership as well as being author of her newly released book “Essential Gut & Hormone Wellness-Finding Balance Naturally”. In her speaking lectures/presentations, she shares her wit, knowledge and common sense in a way that "hits home" with the average person who needs and wants a liaison between complicated, frustrating medical treatments and confusing Functional Medicine or Naturopath testing armloads of supplements that overwhelm us. If you have a group that would like a presentation on the power of alternative health with Gut & Hormone emphasis, click the 'Contact' link to inquire about Teri's fees and schedule. Currently, Teri focuses her attention on writing Blog articles for her website teriringham.com as well as creating Ebooks, natural health related courses and is in the process of producing a workbook for book clubs to go in tandem with her book Essential Gut & Hormone Wellness. She can be found on Facebook, Twitter and Pinterest. Teri's driving belief of taking control of your health to become your own specialist is not just a good idea, it’s key to supporting the one and only body we were given by our Creator. If you want to maintain the good health you enjoy OR if you are struggling with health issues and feel lost on where to turn...you've come to the right place! *Never discontinue any medications or prescribed treatment without your Dr’s advice.